This article is part of our special report European economy: On the road to recovery or still in stagnation?. There is a need to form progressive alliances to tackle critical issues such as immigration, social inequalities and inefficient economic policies in the run up to European elections 2019 stressed the Vice-President of the European Parliament and head of the SYRIZA delegation, Dimitris Papadimoulis, in an exclusive interview with EURACTIV Greece. Dimitris Papadimoulis spoke to Euractiv Greece’s, Eirini Sotiropoulou. 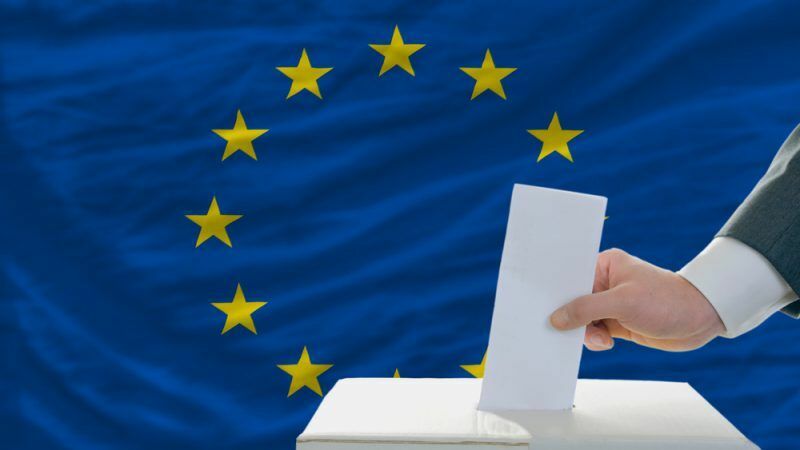 What should be the EU’s priorities after the European elections? The challenges and priorities that we have ahead of us are specific and of paramount importance. There are three main pillars for progressive forces in the EU. The first pillar is to combat social, regional and income inequalities. The second pillar is the emergence of an alternative economic and developmental model that affects many people, the large social majority, the social groups that have been afflicted and continue to suffer from the consequences of austerity and recession policies. The third pillar concerns the promotion of institutional reforms, which are necessary in order to enhance the democratic functioning, transparency and accountability of European institutions, to promote tax harmonisation, to increase investment and better and more efficient distribution and exploitation of the EU funds among the Member States. The promotion of the above agenda calls for widespread alliances, progressive on social issues, even more widespread in terms of democracy and in particular recognition of the critical environment in which the EU and European societies are located. How do you evaluate the EU’s response of migration crisis so far and what can the EU do about countries like Poland and Hungary who are unwilling to take their share of the burden? The EU has so far failed to give a convincing European response to the refugee crisis and to develop a coherent policy on legal immigration. With the main responsibility of the Council and of certain Member States, with the tolerance of the Commission, the conflicting national interests of many member states, as well as the far-right demagogy, which is also being adopted by a significant part of the conservative political forces, make it difficult to form and implement an effective policy on refugee and migration issues. The European Parliament exerts a positive pressure on the refugee crisis for European solutions. The responsibility of the Left is to constantly push for a better and fairer management of the issue, for the benefit of both refugees and immigrants themselves, as well as member states and local communities. It is embarrassing for our European culture, that the EU of 500 million people cannot integrate 1-2 million refugees and offer them a better and safer future. The EU cannot go forward without coherent policies, without solidarity, without a fair sharing of burdens among member states. As member states, we have not only rights but also obligations and this is something that many political leaders forget. Various analysts have warned about a possible Germanization of Europe, arguing that if the new President of the European Commission is a German, then the general bias is once again confirmed- namely that the EU is a German entity. What is your opinion about this? Manfred Weber is unsuitable for President of the Commission because he is very conservative and not just because he is a German from Bavaria. The policies that have been implemented over the years have affected social cohesion, worsened inequalities, reinforced de-investment in many European regions and strengthened Euroscepticism and far-right forces. The responsibility of the German governments over the years is clearly great. However, the rest, especially the largest and most powerful member states of the Eurozone, have a significant share of responsibility because they did not try to change the course of the European project and did not ignore the destructive austerity policies. This responsibility lies on the conservative political forces, as well as a large part of the social democrats that followed and served neo-liberal policies. For us, the political progressive powers that imagine a different Europe, the opportunity and challenge is to change political correlations and promote sustainable development policies. The next European elections in May 2019 are probably the most important for the future of European unification. How do you see the future of transatlantic relations after the trade conflict with the USA? Is there any scope of cooperation from now on? Clearly there is a scope of cooperation, despite the fact that there are no appropriate conditions at this time. And of course, it is important to avoid a trade war and a new wave of protectionism that will hit both sides. The EU and the US are strategic allies and must strengthen their relations at all levels, against the complex geopolitical challenges we face. Different approaches to the issue of Iran’s nuclear program, the Palestinian issue, trade cooperation, relations with China and Russia need to be mitigated, as the priority is to ensure peace, stability and growth for our societies and for our wider geographical “neighborhood”. What will be the impact of Brexit? Is a ‘velvet divorce’ feasible? It is difficult but necessary. I am worried about delays because they are producing uncertainty. The important thing is to find a viable solution that protects the interests of European citizens in Great Britain and at the same time will not have punitive features for British citizens. The deal must be win-win, aiming at maintaining and developing the best possible relationships. Brexit is a major issue that still has a way to go and in the coming years we can more safely assess the wider implications for Europe. Euroscepticism and populism are on the rise. What further steps should be taken in order to bridge the ‘democratic deficit’? It is necessary to establish a strong, progressive and democratic front, capable of uniting in common objectives all those political and social forces that are opposed to the far-right turn in the EU and the intention of a significant wing of the EPP to cooperate with far-right representatives, such as Salvini and Le Pen. Against these forces of obscurantism and regression, we must form wide alliances, on a single, strong, broad and democratic front, capable of promoting European unification and a better and fairer future for our societies. Neoliberal policies fuel nationalist proliferation, xenophobia and social division. They constitute an explosive policy mix that has completely weakened social and regional cohesion, which pushes the European project back into the dark 1940s. Mr Papadimoulis maybe refers to the unification between the neo-nazis and the leftists. Like he himself with his party SYRIZA did in Greece in 2011, when they were sharing the same space in Athens with Golden Dawn. Same space and same rhetoric against EU, that brought SYRIZA from inexistence to government. Mr Papadimoulis do you remember your ‘leader”s fight against the Germans. His support for the other ‘anti-establishement leader’ Mr Varoufakis?